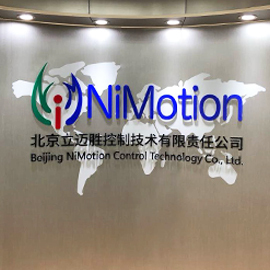 NiMotion Group Co. (주) 전문으로합니다 in the 개발, production, sales 및 서비스 의 motion control systems 및 관련 보조 products. 이 기 가: 베이징 NiMotionControl Technology Co., (주), 남경 NiMotion 로봇 Co., (주). NiMotion 팀 법인사업자 회원 가 일 할 인 산업 자동화 대 한 몇 년 및 한 extensive experience 에 product 개발 및 industry applications. 우리의 products 다 smart 및 절묘한, reliable 에 성능, highly intelligent, 온보드 방식이 및 네트워크로. 계 에 다 개념 의 현상 처리의 smart, refined 및 효율적인 자동화 지능형 products 및 a (high) 저 (비율 의 과학 연구 inputs, the company provides 염려 없는 퀄리티 motion control system 풀 컬러 led hd 비디오 대 한 rofessional 지능형 장비 및 로봇 제조업체들 at 홈 및 abroad. NiMotion 했는데 받기도 다 국가 (High) 저 (-tech Enterprise in 2017, 및 그 products 는 excellent performance, 안정적인 및 reliable 질, 및 통과 다 CE certification 의 tuv 라인 란드 (TUV in Germany. The company's business 가 발달 한 rpidly 및 했는데 나열 에 다 새 네 번째 Board 의 다 베이징 지분 Exchange center in 2017 (enterprise code: ZS3782).